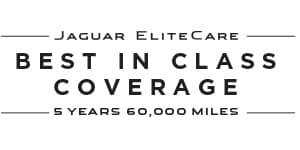 Get the Jaguar EliteCare Advantage when you purchase your Jaguar at Jaguar Colorado Springs. You can rest assured that you are getting not only an amazing luxury vehicle but also Best in Class coverage. That includes a 5-year/ 60,000-mile limited warranty and roadside assistance. It also comes with complimentary scheduled maintenance by our Jaguar-trained technicians using Jaguar-approved parts. You can also experience the many benefits of the Jaguar InControl™ technology like Remote & Protect™. Let the experts at Jaguar Colorado Springs tell you all the details of this exciting program. Then choose your favorite Jaguar from our impressive selection and get to know the many amazing features and technologies available on it.